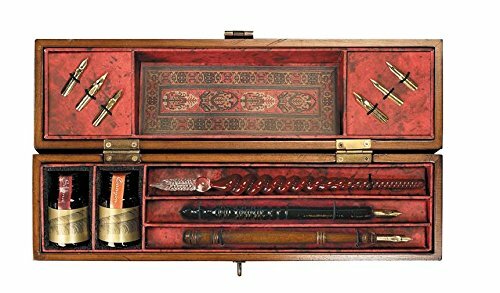 I was reminded recently about how I used to have a proper writing set. A fountain pen with various colors of ink and blotting paper. It was fun to write with and could get messy, especially if the cartridge leaked. There was also a huge selection of interesting writing paper and matching envelopes to buy for all those thank you notes to family members at Christmas and Birthdays as well as pen pals to write to. I even used my fountain pen at school. 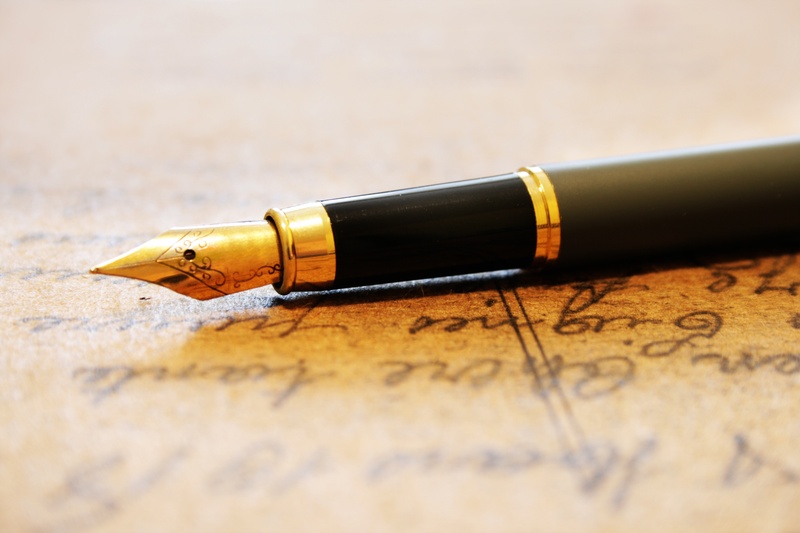 The fountain pen is becoming part of the dying art of writing. You can still buy them which is good to know…but for how long? 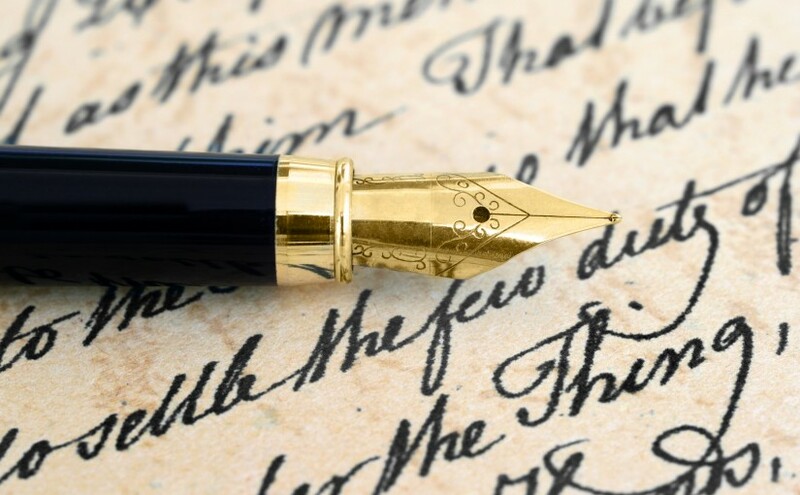 With the introduction of high tech, email and tablet devices, the art of writing a letter to someone using a pen and paper is becoming instinct. I wrote an article about this – The Art of Letter Writing where I explain how a Round Robin letter works, and that some of us are attempting to keep the tradition alive. We’ve always found ways to communicate. 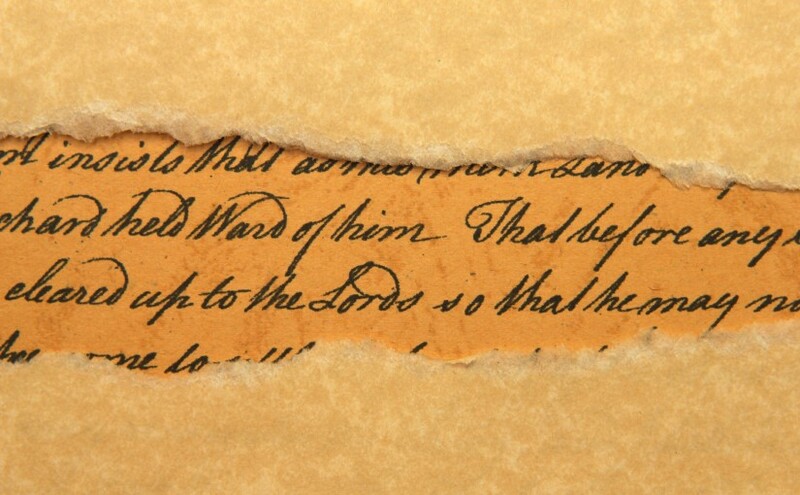 We’ve come along way from the times when our ancestors scratched across the papyrus with a quill and ink pot. Technological advancement and clever minded inventors make it much easier to have a similar experience without plucking any feathers today! Although complete writing sets are harder to find nowadays, you can still come across some interesting writing paper should you wish to join me in keeping snail mail alive and brighten up someone’s unloved mailbox! Let me share some fun stationery with you. I hope I can inspire you to keep the dying art of writing alive as well as some ideas on how you can ensure people still know how to write with pen and paper in the future! As Autumn/Fall is approaching I recently purchased some seasonal writing paper. With this range you can also visit their online site and download templates which are relevant to the design you selected if you really can’t stay away from technology! A decorative holiday writing paper which is good not only for Autumn /Fall /Hallowe’en writing but anytime of the year to cheer someone up. 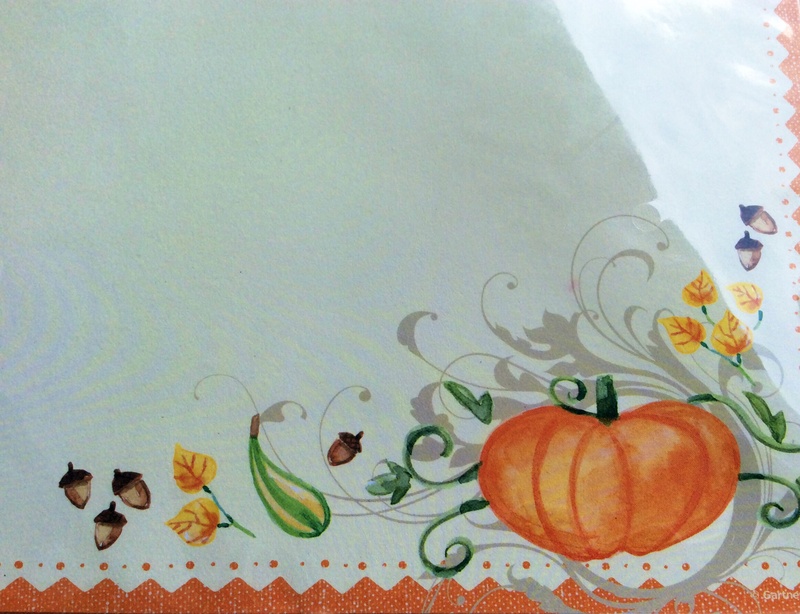 I found the above pumpkin paper, made by Gartner Studios, at the Office Depot store, where they had a huge selection of fancy writing paper. They don’t always come with matching envelopes but you can always jazz up a plain envelope by using special stamps or stickers…but plain and simple is perfectly fine too. With this range from Gartner Studios, you can also visit their online site and download templates which are relevant to the design you selected…if you really can’t stay away from technology! 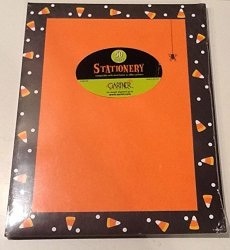 Candy Corn Stationery by Gartner Studios. Click on the photo for more info. If that’s not spooky enough paper for you they also have a candy corn Hallowe’en design. Be careful of colors that are too bright or designs that takeover the paper – you want your recipient to enjoy the fun paper, but you also want them to be able to read your writing! You can also find fancy writing paper online. I bought this Sea Flowers paper from Amazon. This set came with mix and match paper and envelopes together with some stickers to brighten up your letter or pop on the envelope. Mix and Match Stationery by Jill Bliss. Click on the photo for more information. Depending on the type of letter writer you are, don’t forget to check the paper sizes. 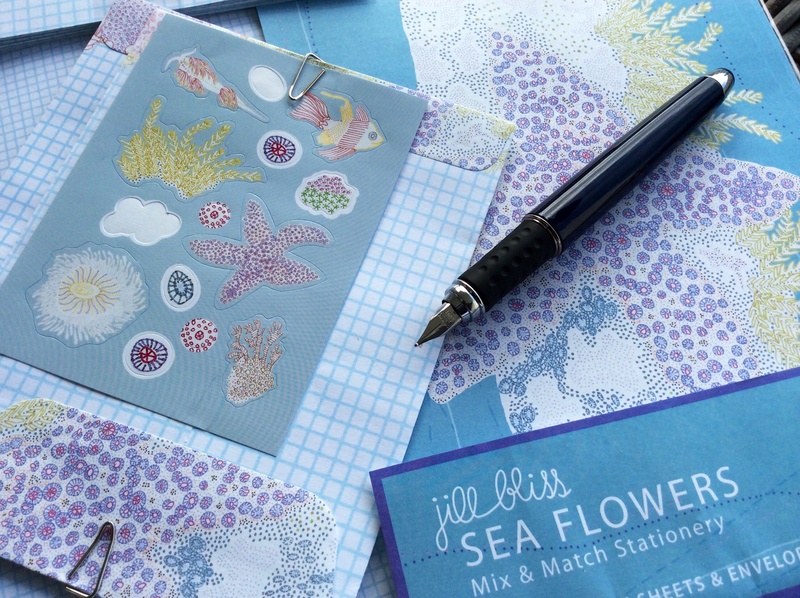 The Hallowe’en style paper above was nice and large but the Jill Bliss Sea Flowers paper was much smaller in size and actually had fewer sheets – 16 stationery sheets as opposed to 40 sheets. Once you’ve thought about the paper, you may like to check out a few other essentials like pens and notebooks as well as exploring creative ways to write such as Calligraphy. I’ll be covering these topics soon. When was the last time you wrote or received a handwritten letter? Do you have a secret stationery supplier that you can share with me? 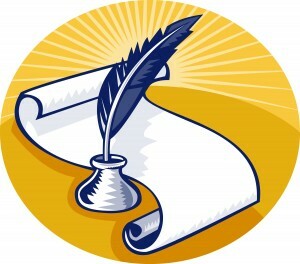 Do you think letter writing is becoming a dying art? With the advancement of technology, the art of letter writing with a pen and paper is dwindling fast but a few of us are still trying to keep the tradition alive. 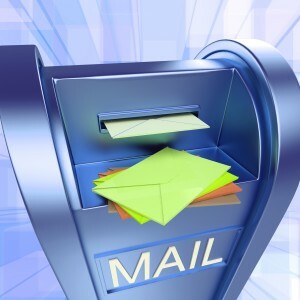 Are you fed up of only receiving bills and junk mail in your mailbox? It’s always nice to receive a surprise card or letter that has been handwritten instead of the boring stuff that you’re not really interested in, so why not surprise someone by putting pen to paper. I’m in a small group of six people who send a Round Robin of handwritten letters that has been going on for about a year now. It’s fun and I don’t just get one letter to read but five. Person number one writes a letter (maximum two pages) about anything they like – what they have been doing since receiving the last letter, any vacations they are planning or have been on, hobbies they do, book recommendations, recipes etc. They then send it to the second person on the list. When the second person has received the envelope they write their letter, read person one’s letter and then add their letter to the original and post both letters to person number three. Mail all the letters you have received, adding your own to the envelope and then wait for it to come back to you. Person number three then reads both letters in the envelope, writes their letter and adds it to the envelope. Three letters now wing their way onto person number four. Person number four does the same and sends all the letters on to person number five and so it continues until all the people in the group have received, read and written letters. Once a letter has been received by a recipient they have up to two weeks to read and respond with their own letter. There’s usually a sheet of everyone’s addresses so each person knows who they need to send the complete package to. This should always stay in the envelope as a reference sheet. Any changes can be made to the address list should anyone move home during the round of letters. Once all the letters have been sent back to the very first person in the group, they remove their first letter, read all the letters they have not yet seen and then add a completely new letter to the package. They then send it on to person two who removes their letter and adds a new one. This continues round and around until it completes a second journey and the whole process starts again. This way of sending letters is often called a Round Robin. As you get to see your original letter you can then re-read what you wrote to everyone so you don’t forget or repeat yourself. Why not give the art of letter writing a try and spice up someone’s mailbox. You’ll give them a nice surprise as they won’t be expecting it – especially when it’s hiding in with the junk mail and you may even inspire them to put pen to paper and write back to you which will cheer up your mailbox too.